The Morning Bulletin – CRICKET: Four players will make their debut for the Frenchville Sports Club Rockhampton open men’s team in Round 1 of the CQ Championships this weekend. CRICKET: Four players will make their debut for the Frenchville Sports Club Rockhampton open men’s team in Round 1 of the CQ Championships this weekend. Brothers’ Ben Walters, Gracemere’s Josh Hamilton and Frenchville’s Sam Chew and Callum McMahon have been named to play the Central Highlands in Emerald on Sunday. Gracemere’s Justin Peacock will captain the Rockhampton rep team this weekend. 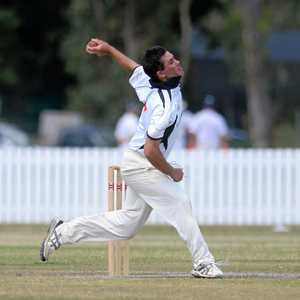 Chris Ison ROK160917ccricket1 Harmsworth said Walters would get the new ball and the team would rely heavily on its spin options, Peacock and Queensland Country under-21 player Logan Whitfield.